Stone Creations has been installing pavers in Arizona since 2000. Owner, John Traynor, previously worked on the manufacturing side of the hardscape business for almost five years. Recognizing the need for a paver installation company to do quality custom work at an affordable price, he started Stone Creations. We specialize in paver installations from concrete pavers to travertine pavers to stone pavers. 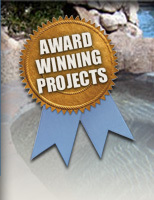 Stone Creations has won 17 ICPI Arizona Chapter Awards in the last 3 years and in 2010 we won a national award from Hardscapes North America. We specialize in the installation of all types of pavers including concrete, brick, marble and travertine, natural stone, and Artistic pavers to name a few. We always make sure the job is done correctly and we use compacted ABC under the pavers. A lot of companies do not do this because they don't know what they are doing and it is cheaper to put the sand right on top of the dirt. At the completion of your project, the pavers look great but they also work. They will not fail. 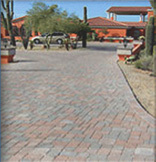 We have been installing pavers the right way in Arizona since 2000. You can be guaranteed that you will get the best possible results when we do the work.